Welcome to the February issue of our Gulf Gourmet. I hope everyone had a great start into 2019. We look forward to a challenging year that I believe is full of opportunities to gain. I always say, the bigger the issue or challenge you face, the greater the opportunity there is to grab. So, let’s grab all the opportunities that 2019 has to offer at work, for our Emirates Culinary Guild, and most importantly, in our private lives. This February will be very different for the Emirates Culinary Guild. For the first time in our 26-year history, we will not be involved with Gulfood. February will no longer be the same. The good news is, we grabbed the opportunity which came up for us. We took the offer from a new home to set-up our International Salon Culinaire. We are now really looking forward to March. 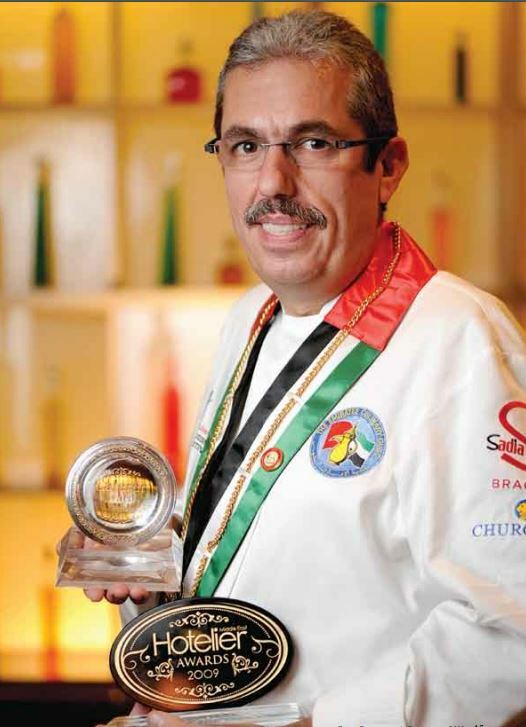 International Salon Culinaire at Expo Culinaire will run from March 4-6 in Sharjah. I look forward to seeing you all in Sharjah. Just saw an update on registration and we have already 700 plus entries! This is amazing for a three-day show. And the registration is still open for chefs wanting to take part in this professional culinary competition. Looking at the registrations, I am convinced that this competition will be of a very high quality with lots of our members from the National Culinary Team competing in Sharjah and huge potential for future teams. It’s your chance to showcase your skills, as we build the Team for the Culinary Olympics in Stuttgart 2020. Do not lose the opportunity to show the Team Management your skills. The launch edition of Expo Culinaire is uniting all of our partners again Equipment, Ingredients, Food and Beverage. Please visit gulfgourmet.net to browse through previous issues of these magazines. Visit emiratesculinaryguild.net to see the latest happenings on the events calendar. And visit www. facebook.com/wacsyoungchefs for young chefs to be in contact with over 4,000 chefs across the globe. Please do not miss the company profiles of our corporate members. We really do appreciate your support. Also do look at the Friends of the Guild pages to check all our supporters. Thank you to Chef Loucian Elias and the Coral Deira Hotel team for hosting the January meeting.